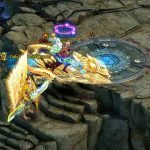 Hi everyone, here is the developer guide for the new Wartune Patch 8.3 Guild Siege. It’s time to show people of this land your true power! We know some of you have been waiting this for a long time and now it’s happening: Guild Siege, the combination of blood, strength and strategy, representing bravery and wisdom! Do not let this opportunity pass you by – compete and leave the world a winner! Who will be the No. 1 Guild and bring the rest to his knees? We shall see! Event Entry: During the event period, click the event icon on top of the screen to enter. 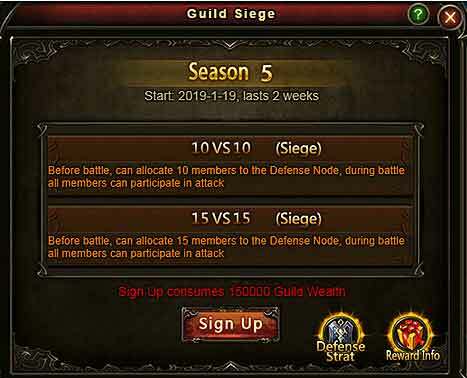 Guild Siege is designed to replace an original feature – Imperial War, which will not function any longer soon as the new feature is launched. The shop for Imperial War is still available, however, players are recommended to redeem their Yarama Coins before Patch 8.3 arrives. 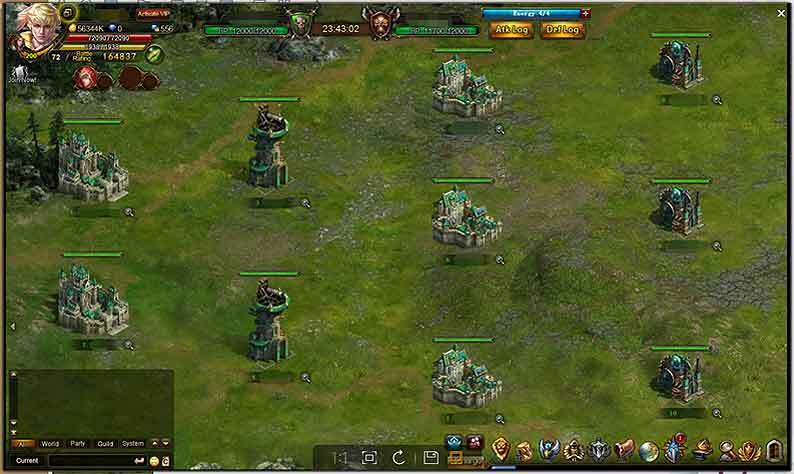 Guild Siege is a cross-server Guild battle which requires strategy and strength. Survivor of the siege will be able to collect points as well as epic rewards. There are a total of 7 battles for each Guild during the event period. 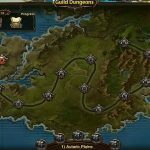 Sign-up stage begins at 24:00 on the 2rd day after the Guild Siege is lunched. Sign-up stage lasts for 2 days. A Guild Master may sign up for 10 vs. 10 battle or 15 vs. 15 battle at the sign-up panel. 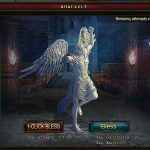 A minimum of 150,000 Guild Wealth is required for the event. When a Guild Master has signed up for the event, the Strategy panel will pop up with a “Already signed Up” icon. 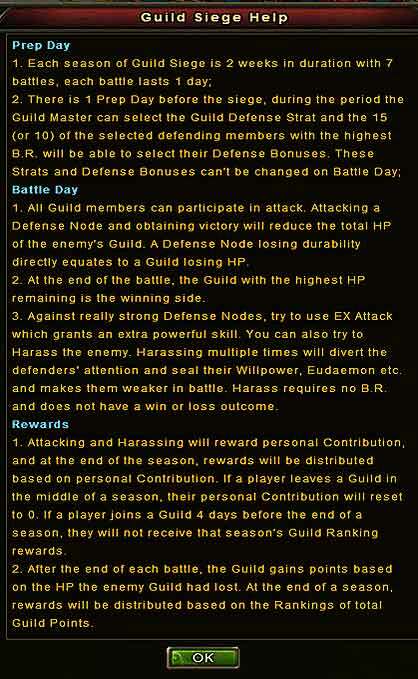 If a Guild Master hasn’t signed up, the Guild will not be able to join any battles of the current season. A “No. X Season Not Signed Up” icon will be showed at the top left of the Preparation panel and no reward is available for the Guild. 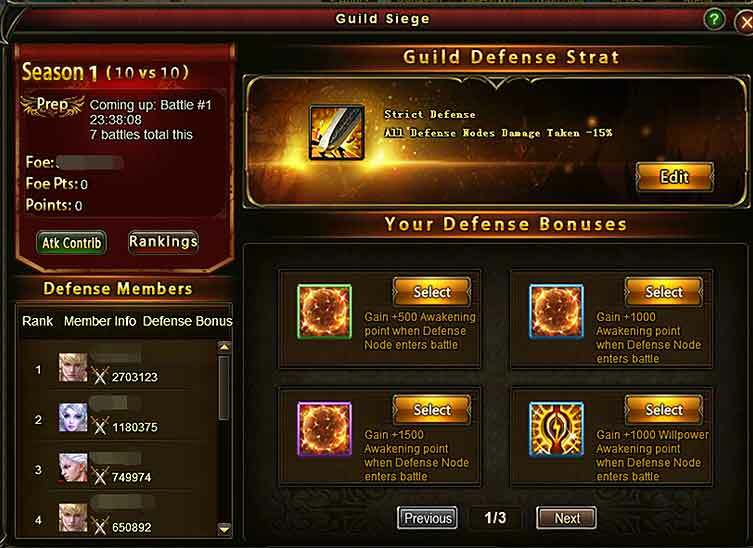 In Prep stage, a Guild Master may set up the Guild’s “Defense Strat” at the Strategy panel. 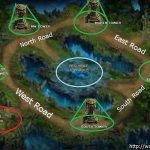 Strategy falls into 4 categories and cannot be modified when Battle stage begins. In the meantime, Guild members with the highest BR will be chosen as the defending party based on the battle size. 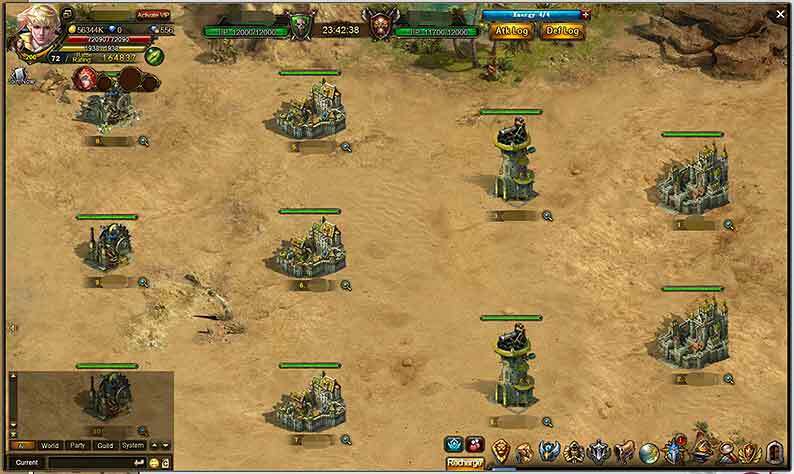 The defending parties can choose their “Defense Bonuses”. Each of the defense members may select one defense bonus on Prep stage, but may not select the same bonuses. In case two or more defense members have selected the same bonuses, only one may keep it. Once the defense lineup is set on Prep Stage, players joining or leaving the Guild won’t affect the the lineup in Battle Stage. 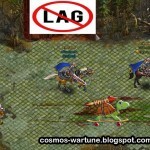 A Guild loses the rights to current season’s contest if there are not enough defense members when Battle Stage begins. In case enemy Guild is dismissed or not have enough defense members when Prep Stage is over, your Guild gets a bye and receives special rewards. 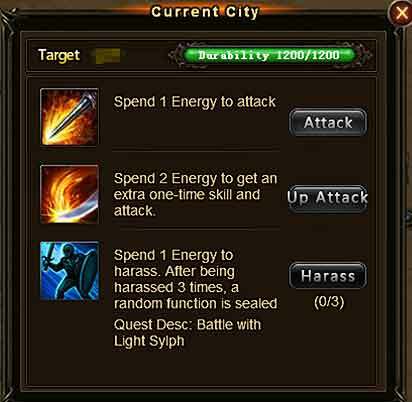 Guild names, defense strategy, attack log and remaining time, HP and energy will be showed on top of the screen. Defending members will be ranked based on their BR at the time when the defense lineup is set. A lower ranked member has a Defense Node of a lower durability. Each battle lasts 24 hours. When the battle ends, victory will go to the party with more remaining HP. Each one of the Guild members will be granted with 4 Energy when Battle Stage begins. Plus, they’ll be able to buy an additional of 3 Energy for 150 Bales each. Points and battle reports can be viewed in Attack Log. 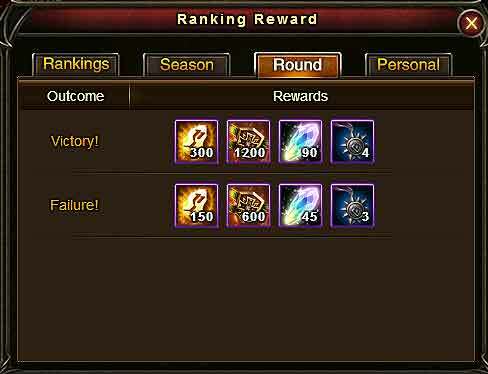 The enemy Guild losing HP directly equates to the points your earned. Collect as many points as you can through each battle, for the matching and final rewards will be based on the total points earned. The magnifier icon which sits right next to the name of a Defense Node is used to view ally’s Battle Rating, Durability, Buffs and Debuffs. 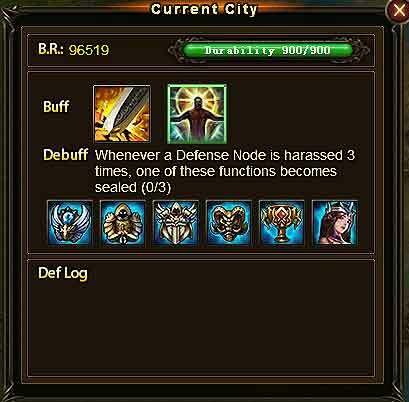 Click on a Defense Node to view player’s Buffs and Debuffs, Defense Log and Durability. 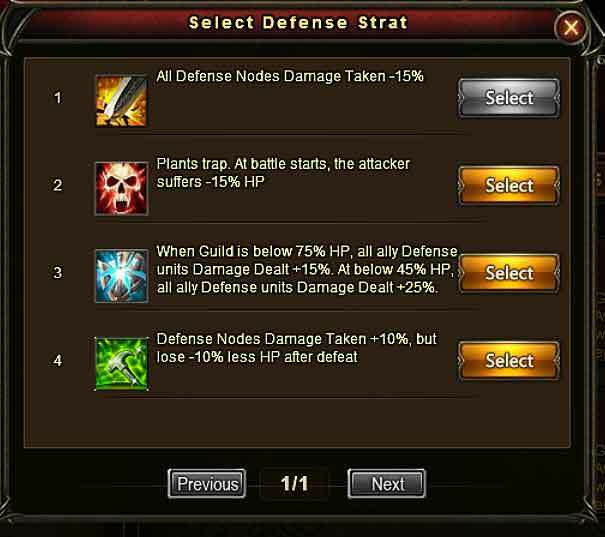 Click an enemy’s Defense Node to prepare an attack in 3 ways. “Harass” costs 1 Energy and grants 15 Contribution, but it has certain requirements (carrying the right Sylph and Eudaemon, etc). Enemy will not be able to fight back when harassed. A harassed icon will be showed right next to the enemy node after the harassment. 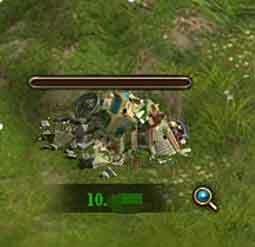 An enemy Defense Node can only be harassed once by the same player during a battle. Enemy’s certain system (Sylph, Eudaemon, Relic, Titan, Goddess, etc) will be sealed for the duration of the battle when they’ve been harassed a certain number of times. 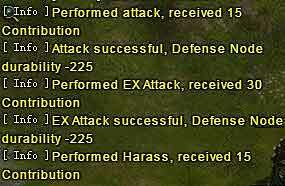 Durability of the target Defense Node will be reduced after a successful “Attack” or “EX Attack”. 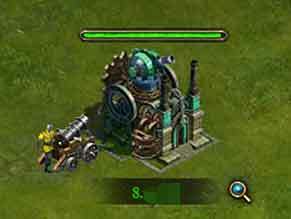 A Defense Node will be destroyed when its durability is reduced to zero and players will not be able to attack it any more. 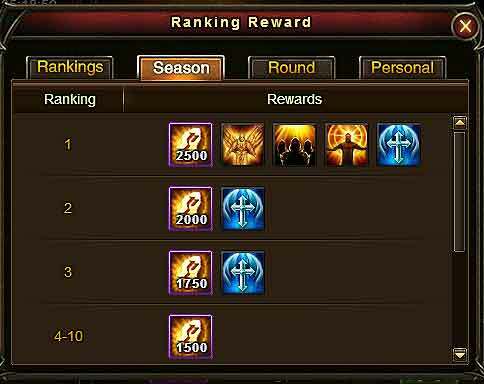 Rewards will be distributed based on the rankings of your Guild after each battle. Players can view them by checking the Rankings list. 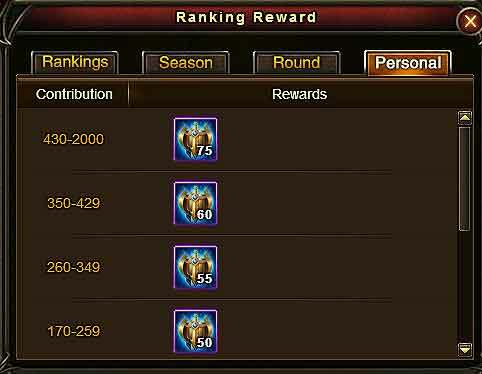 At the end of a season, rewards will be distributed based on the Rankings of total Guild Points. Rewards will also be distributed to each Guild members by mail based on Personal Contribution. At the end of a season, rewards will be distributed based on Personal Contribution. 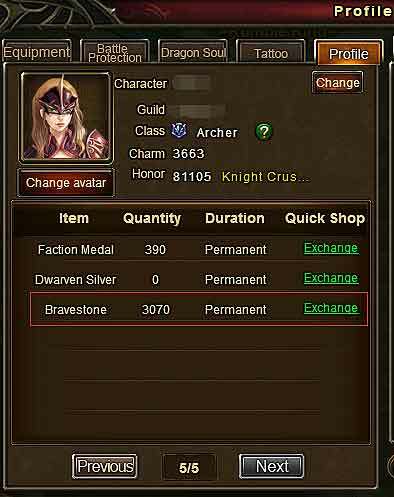 Season rewards grant Bravestone, which can be used to swap for items in the Guild Siege Shop through Inventory –> Profile –> Barvestone.